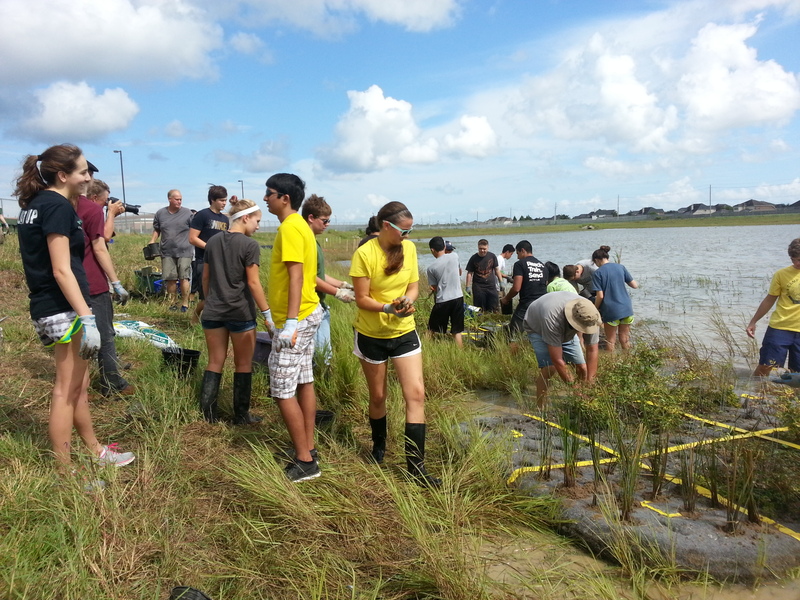 Two of the many stormwater wetland program events in September and October involved our partners at Clear Creek ISD and the University of Houston Clear Lake’s EIH. I can tell you a little about each one, but photos say it best! Check them out at the Flickr links below. To make up for the damage caused by the nutria invasion last year, we replanted the floating wetlands as an experiment to see which species nutria would avoid. We also planted test plots of these species along the shore, including some species we know they do eat, as experimental controls. 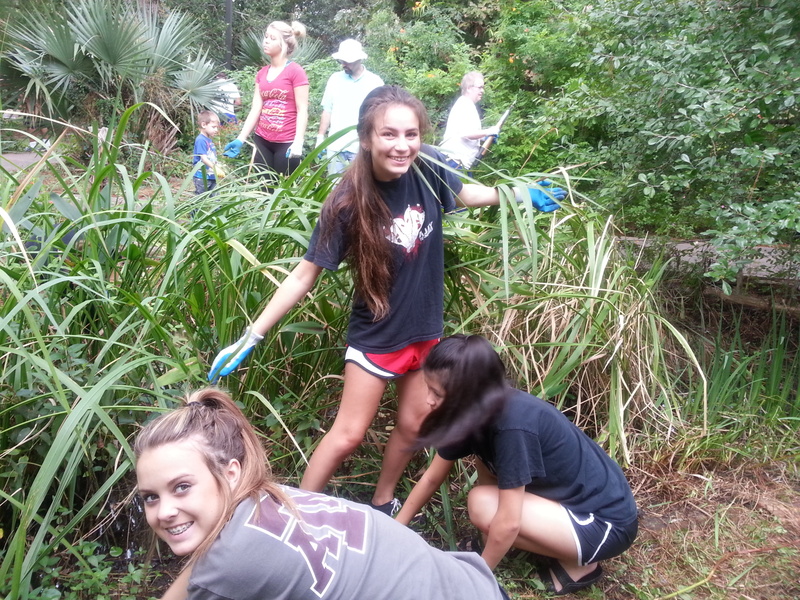 Sixty nine students and community members came out to work on a gorgeous Sunday afternoon, October 12. See all the photos and upload your own to the Flickr photo pool. Much pruning, planting and raking was done to spruce up the garden after a long summer, and best of all for the stormwater wetland program, plants were collected from the overgrown ponds. The plants are being propagated in the wetland nursery at Exploration Green, and can be reused on school and community wetland projects. Thanks to all who showed up to help and made these events fun!